ARE YOU THE BIGGEST FAN IN THE HOUSE? Start By Picking YOUR Team! NO FAKES: It is important to make sure you are not buying a fake jersey. At Slapshot Signatures we have a Quality Guarantee for all of our custom hockey jerseys. We deal in 100% authentic merchandise and you can be sure that the jersey that bares your name will be the best hockey jersey in the house. TOP QUALITY MATERIALS: Our Custom Adidas jerseys are designed to duplicate the look of on-ice team designs. The front has a sewn-on team crest while the back features PRO TACKLE TWILL letters and numbers as worn on the ice and comes with the NHL/NHLPA hang tags. They feature Adidas Clima® technology to deliver breathability and Adizero technology is lightweight for breathability and mobility. WHY DO YOU NEED A CUSTOM HOCKEY JERSEY? 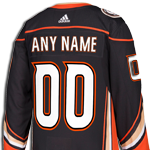 Customize any jersey from your favorite NHL team with your own name and number! Use up to 12 letters and any number between 00-99. Do you want to add an “A” or a “C” on there as well? We can do that for you too. A teams fans are a huge factor in their success every season. It is only right that you show your support in style! Show up to games wearing your custom hockey jerseys and let everyone know what team you are on. If you have a hockey fan in your life, you are already looking at the perfect gift. Anyone would be thrilled to unwrap one of our custom hockey jerseys with their name on the back! SO HOW MUCH DOES A GOOD JERSEY COST? Adidas does not sell the actual made in Canada version to retail, they are reserved for team use only. Beware of fakes! BEWARE of the hockey jersey that costs too little! You know how the saying goes, “you get what you pay for”. 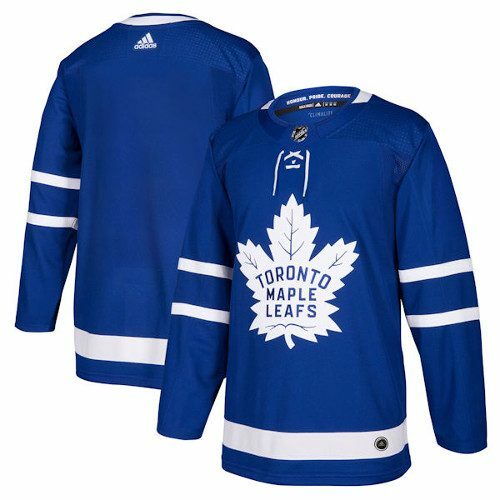 Fake hockey jerseys are sold everywhere online for a fraction of the cost of Officially Licensed product. Even if the picture used looks real, what you get in the mail is not going to be what you expected.